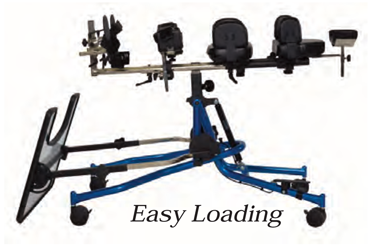 Standard Features include: Horizontal high-loading surface; Prone, Vertical, Supine or Multi-Positioin configurable; hip and chest pads; hands free standing angle adjustments; height and depth adj knee system; lock out block and 3" locking casters. Client Height: Supine 20" - 38" Prone 22" - 40"
Base: 19" wide x 28" long. Loading Height 27""
Client Height: Supine 28" - 48" Prone 30" - 50"
Base: 21" wide x 37 3/4" long. Loading Height 28"
Client Height: Supine 40" - 60" Prone 40" - 62"
Base: 25" wide x 45" long. Loading Height 29"
Folding Base: Includes quick release folding base, mast mounting hardware, gas cylinder and 4 plastic locking casters. ***Note: EI Mast fits in all bases, Size One mast fits in Size one and Size Two base, Size Two mast fits in Size Two base only. ***Note: Sliding adjustment tracks not available on EI Unit. 90° 6" - 10" ~ 1" offset 4" - 8" ~ 2" offset 3" - 6"
90° 8" - 12" ~ 1" offset 6" - 10" ~ 2" offset 4" - 8"
90° 10" - 14" ~ 1" offset 9" - 12" ~ 2" offset 6" - 11"
Custom Configurations: We are proud of our proven commitment to serving the needs of our customers with the finest standing products available since 1984.  We encourage you to call us when you need something special for you client. Supply the information in the following area's to us know your needs and we will assist in every way that we can. Custom Pads: Use this area for custom-sized pads on your Superstand HLT. All custom pads must be quoted for price and manufacturing time. Include any information for any tray cutouts or modifications desired in this area or submit a paper or cardboard template. Other information may be added in the area below. 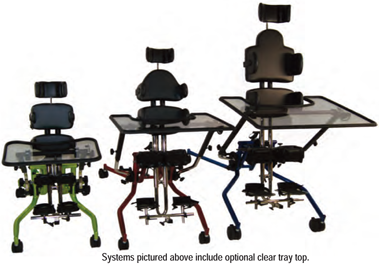 Multi-Position All-In-One Standing System Pre-configured units. These Fully Configured Units supply all of the components needed for a complete standing program with many clients with the ease of a single order item with minor modifications available. These units include: High-loading platform ht; Folding base and components to support Prone, Vertical, Supine or Multi-Position configurations. 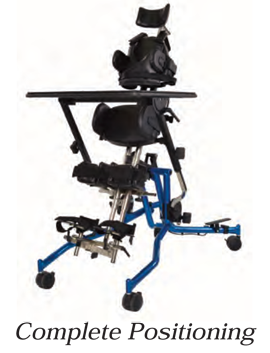 Packages include: Hip pad with laterals, Chest pad with laterals, Support vest; Soft hip pad; Headrest; Chinrest; Multi-Position foot system; Opaque tray; Hands free standing angle adjustments; Height and depth adjustable knee pads; Lock out block and Upgraded steel locking casters. This packaged system can be accessorized and quoted to fit your client’s needs with the items listed on this page. Client Height: Supine 20"- 38" Prone 22"- 40"
***Note, Superstand HLT packages are configured to be a complete system package, configurable items are listed on this page only. Superstand HLT packages are not available for Custom Configuration. When more configurations or custom items are needed use the Build To Suit section of this order form. Lateral Support Positioning Options for pre-configured packages Lateral Chest and Hip Supports are included in pre-configured packages. Opaque Upper Extremity Positioning Tray: Multi-Positional tray with height, depth and angle adjustment.